Born and raised in the beautiful East African Country of Tanzania, Onesmo’s musical training began as a youth in the capital city Dar-es-Salaam. His instant love of the bass guitar resulted in many years of perfecting his playing, specializing in both African and Caribbean rhythms. Following his formal education, Onesmo landed in the twin cities of Minneapolis/St. Paul in the early 90’s. 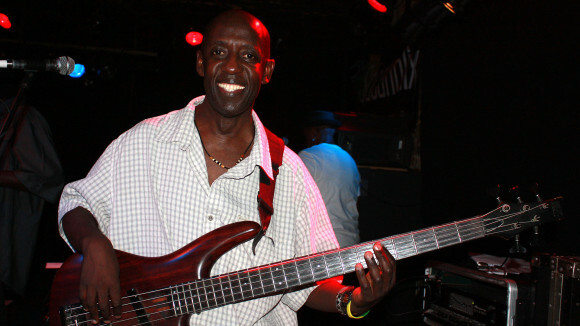 Almost instantly, he began to play with Les Exodus, a popular reggae band then fronted by fellow Tanzanian Innocent. After a stint in California, and extensive national tours, Onesmo has found his groove playing with the Socaholix. His solid bass line provides the backbone for the Socaholix on top of which the complex Soca melodies can freely dance.